Moto G7 series is set to launch today, and ahead of the launch the smartphones have been leaked in high-resolution renders. The most premium variant was also spotted on Geekbench, tipping Snapdragon 660 processor and 4GB RAM on the Moto G7 Plus. 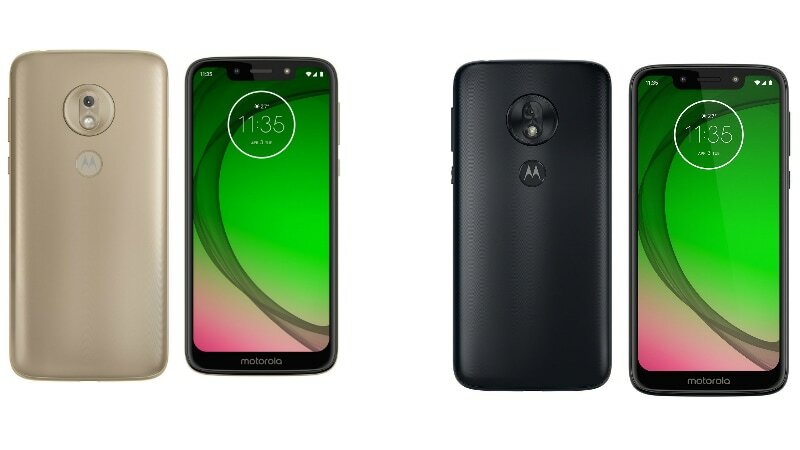 Renders suggest dual rear camera setup on the Moto G7 and Moto G7 Plus and a single rear camera setup on the Moto G7 Play and Moto G7 Power. All the four phones come with a rear fingerprint sensor as well. These fresh renders are courtesy tipster Roland Quandt. He has shared high-resolution images of the entire Moto G7 family on Twitter. The images reiterate all past leaks, and the Moto G7 and Moto G7 Plus are tipped to sport dual rear camera setups, waterdrop-shaped notch, and a rear fingerprint scanner. The Moto G7 Play and Moto G7 Power are expected to sport wider notches, single rear camera setups, and a rear fingerprint scanner as well. The Moto G7 Plus was also spotted on Geekbench and it is listed to come with 4GB of RAM, Snapdragon 660 processor, and is listed to run on Android Pie. Its single-core score is 1,334 and its multi-core score is 4,831 on the benchmarking site. The Geekbench listing was spotted by DroidShout. The Moto G7 series launch event will begin at 10am local time (5:30pm IST) in Sao Paulo, Brazil. Users can live stream the event on Motorola’s social channels, and you can confirm your attendance here. You can also follow Motorola Brazil’s Twitter handle to get updates on the live stream just ahead of the launch. The company is also taking registrations of interest on the company’s website, and you can head here to register. The Moto G7 series is tipped to be priced starting at EUR 149 (roughly Rs. 12,100).